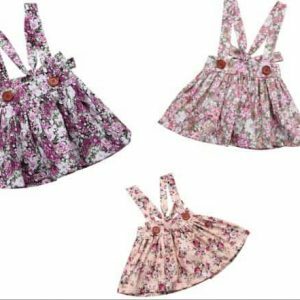 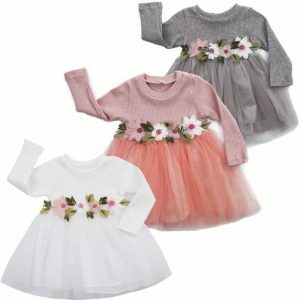 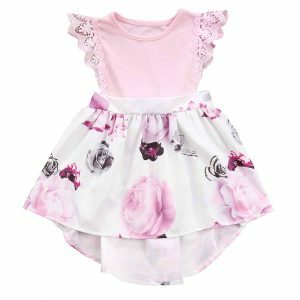 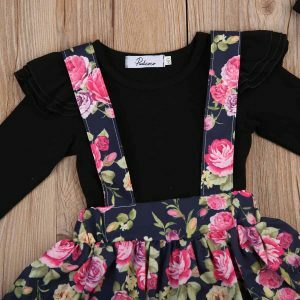 Cute flower dress with long sleeves for baby girls. 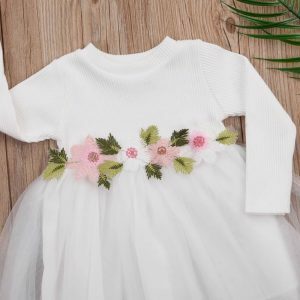 High quality cotton blend and tulle, elegant style for the sweetest little spring princess. 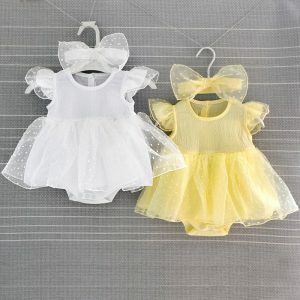 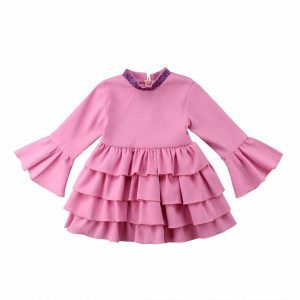 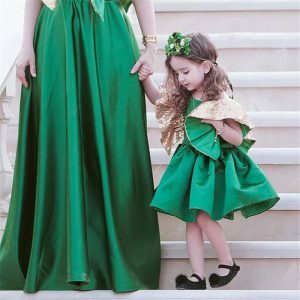 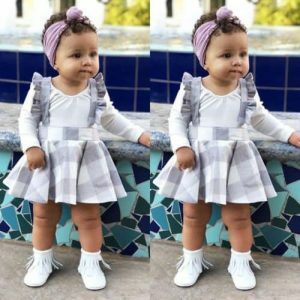 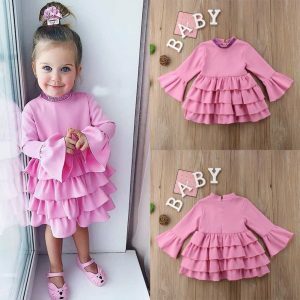 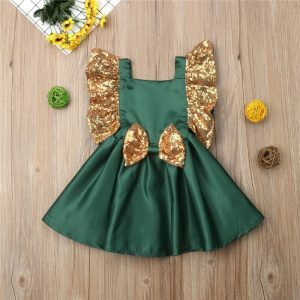 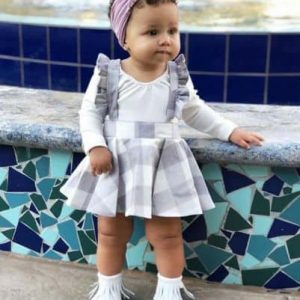 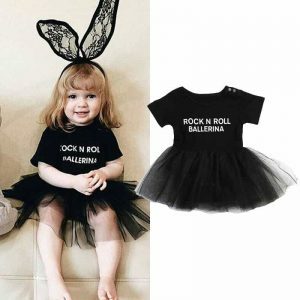 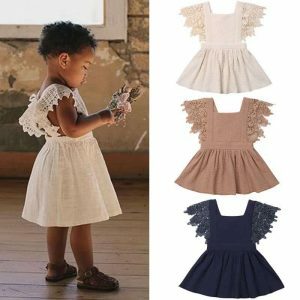 Amazing baby girl long sleeves princess ruffles dress. 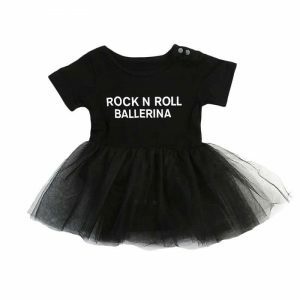 Stylish and cute addition for your little modern icon. 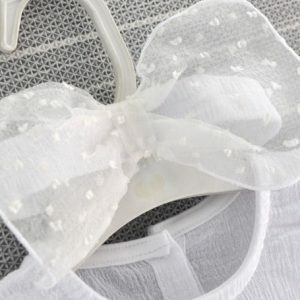 Cotton blend materials. 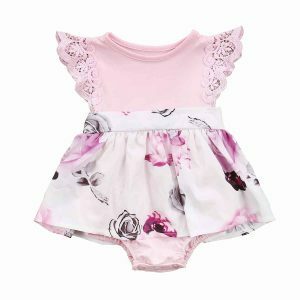 This 100% cotton set is perfect for your little lady. 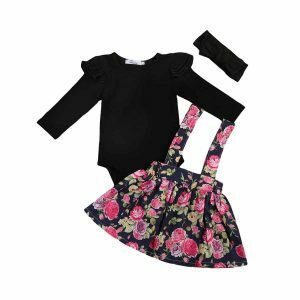 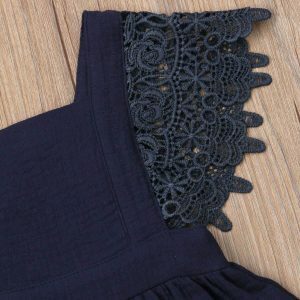 Beautiful flower motives skirt, romper top and headband. 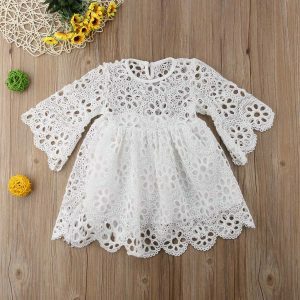 Suitable for the summer.